Martina Menegon (Italy, 1988) is a multimedia artist and lecturer of Virtual Reality and Interactive Arts at the University of Applied Arts in Vienna and at the Art University in Linz. 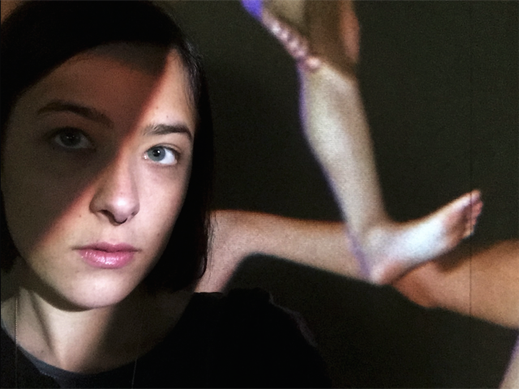 She also regularly collaborates with Klaus Obermaier and Stefano D'Alessio, teaching multimedia tools for interactive arts and creating interactive performances and installations. Through multimedia installations that spawn between interactive, virtual and mixed reality art, Martina Menegon uses digital media to re- materialise the body after it has been transferred into a virtual state, creating an intimate and complex assemblage of physical and virtual elements that explore the contemporary self and its synthetic corporeality. Martina Menegon lives and works in Vienna, Austria.